The group coaching technique, pioneered and developed by Manfred Kets de Vries, is a core element of all KDVI’s interventions and programmes. 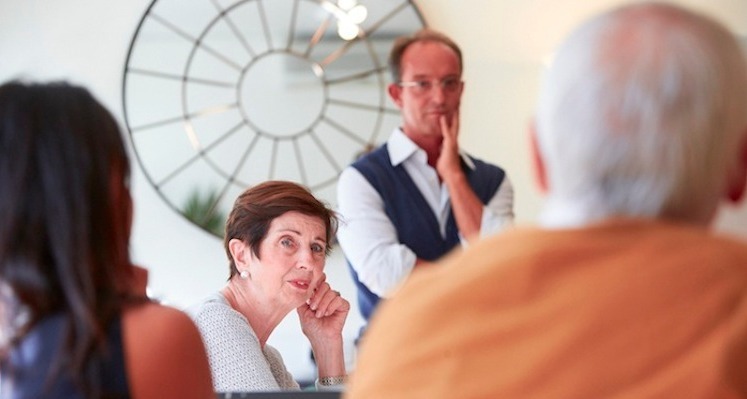 The primary objective of a group coaching intervention is to foster courageous conversations that get to the heart of the organisation’s challenges. The group helps each individual explore his or her own blind spots, and identify options for growth and development in line with the organsation’s objectives. In addition to pragmatic action-planning, the group coaching session instils a culture of constructive feedback and supportive follow up. This kind of ‘group contagion’ is a powerful way to bring about tipping points for change. A final benefit is the opportunity to practice peer coaching in a supervised setting. When continued beyond the intervention and into the workplace, this peer coaching relationship is a powerful means to support desired change.